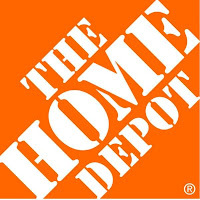 Home Depot announced today that they are going to have a Spring Black Friday sale. Home Depot states that the Spring is their Christmas. They are claiming that there will be a $379 grill for under $200 and a patio set for under $70. Be on the look out and let me know if you hear anything! I LOVE this FREEBIE! Have you ever wanted to take a class at Yale? Now you can take classes online on anything from Astronomy to Religious studies for FREE! Check out the Open Yale Courses! One of my favorite words is FREE! I found this Free eCookbook which includes 22 Quick and Easy Healthy Chicken Recipes, featuring over 30 pages of tasty and healthy chicken recipes. Click Here to check it out! Since I am trying to eat healthier, I am looking for ways to preserve my fresh produce. One of my favorite tools for preserving produce include the new produce saving containers available. I just bought a set a few weeks ago and they really work. My strawberries stayed fresh for a week! Amazon has the Rubbermaid Produce Saver Square 8-Piece Set for $14.92 with FREE Super Saver Shipping for orders over $25. Other sets like this sell for $24 + Shipping. I already own an espresso machine. If you do not already own a capuccino maker, buy a capuccino maker through the StarbucksStore.com, Amazon or your local Target or Walmart. No big deal right..think again! If you buy 1 tall vanilla latte at Starbucks once a week for a year, the cost is $173.68 + tax. If you make your own at Savebucks for a year, the cost is $20.80. It is the little things that add up! That is 88% savings! Now whenever the mood hits me, I do not have to rush to Starbucks. There is a little trial and error, but in the end I will SAVE! To pick up more items to open your own Savebucks, go here !